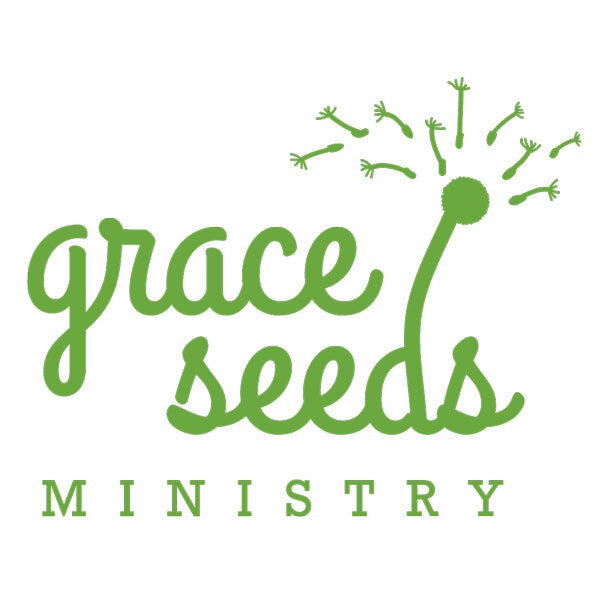 Several years ago, Grace Seeds Ministry was just a little seed of an idea in Linda’s head. Now, it is a fully-functioning non-profit organization with numerous partners. In order to reflect this growth, and promote future growth, we came up with a logo to showcase what we’re all about. Our mission statement reflects our call to rediscover our roots, cultivate faith, grow, and go in the name of Christ. Time spent in nature and fellowship reminds us of God’s redeeming love bestowed on us through gifts of the Spirit and the earth. It is our call to spread His seeds of love, justice, reconciliation and peace with everyone. Why a dandelion? Dandelions are persistent plants with deep roots and an abundance of seeds that spread in all directions. Just as a dandelion has deep roots, we too have deep roots in Christ. We stand tall and proud like a dandelion and let our lights shine. We spread seeds of God’s love to everyone. Lastly, and perhaps most importantly, we go where the Spirit leads. This may be down the street, in a neighboring community, across the country, or even halfway around the world. For us, the dandelion is the perfect symbol of our calling to sow and reap seeds of God’s love with everyone, everywhere. Megan Schreurs is a Young Adult Volunteer serving in Chicago, IL. She has loved to create things forever, and it was in college that she discovered and fell in love with graphic design as a practical way to create. She received her Bachelor of Arts degree in Art with a concentration in Graphic Design from Northwestern College in Orange City, IA. She also loves Jesus, photography, Skittles, laughter, board games, and deep conversations. Go to meganschreurs.com to read about her experience in Chicago and view her photography and graphic design work. Her skills are available for freelance work for both graphic design and photography.